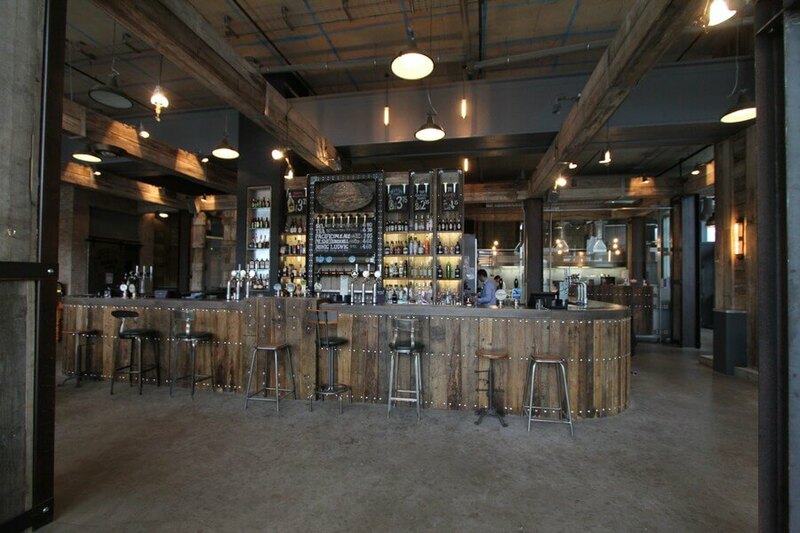 We can help you create a venue which leaves your patrons talking. From traditional public house bars to creative designs for nightclubs and function spaces, we’ve created bespoke bar furniture designs which is practical for staff and beautiful for customers.Alongside bespoke bar design and manufacturing, we can additionally hand-craft wall panelling, furniture and custom-designed catering stations. 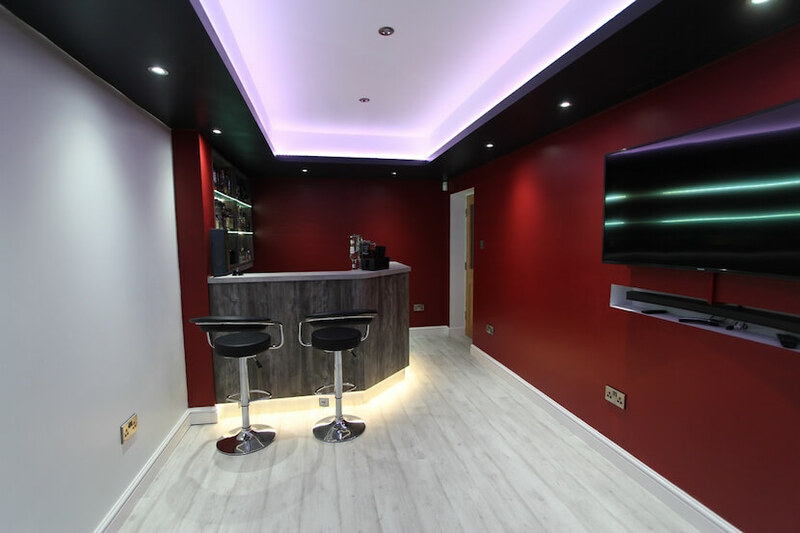 This allows us to capture the theme of your establishment and provide a solution which is completely tailored to your business.Once we’ve discussed your objectives, our skilled furniture designers can work with a wide selection of materials to help you achieve the finish you want. 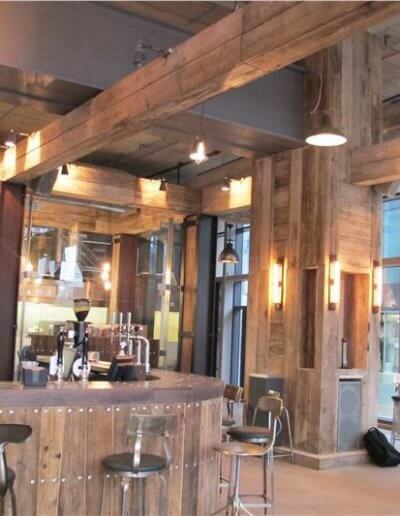 All of our hardwood is FSC Certified and we specialise in distressed, contemporary and multi-material designs. We can also create gloss and acrylic solutions which integrate with the rest of your premises. 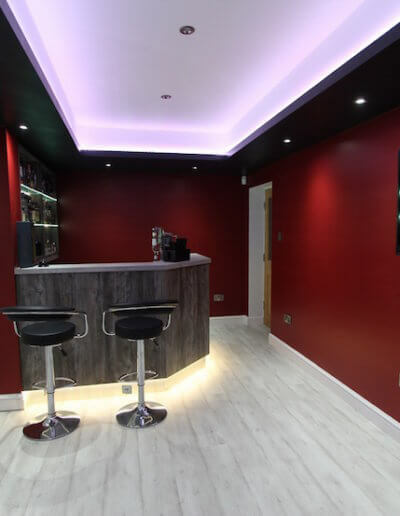 Call 0161 643 4054 and view our bar design gallery below for inspiration. 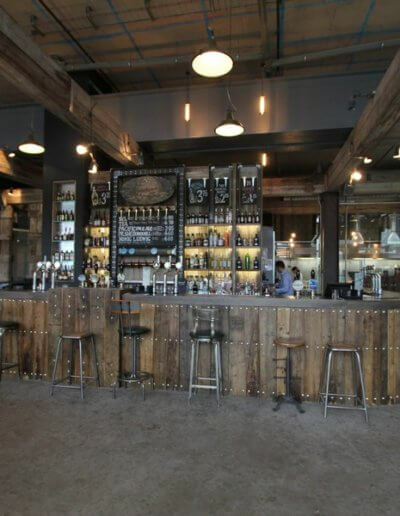 The image pictured is an example of our bespoke bar design, a stylish Salford Quays bar which utilises reclaimed materials to create a wonderful rustic finish. 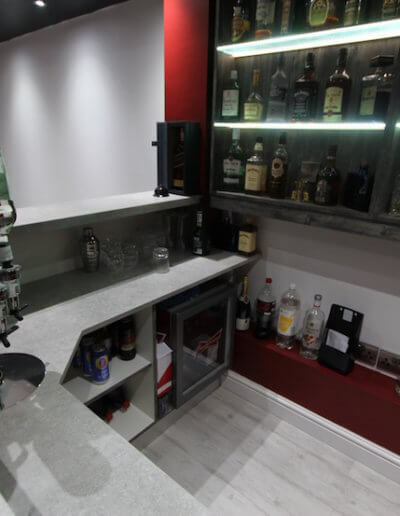 After learning exactly what the owner wanted from the space, we set about designing a bar area which would reflect the industrial feel of the old quays. 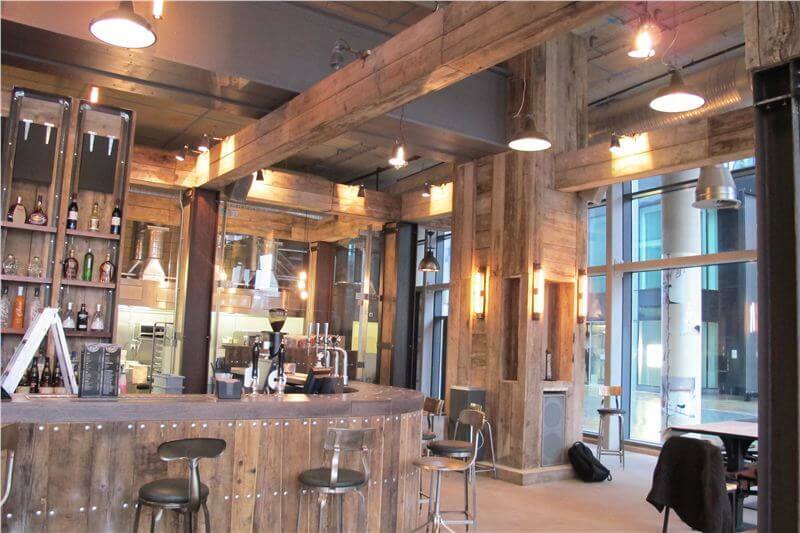 Using individually stained reclaimed scaffolding planks, we achieved a weathered finish which beautifully complemented the overall interior design. These were used to create a curved frontage to the main bar area and were secured with steel rivets in keeping with the theme. 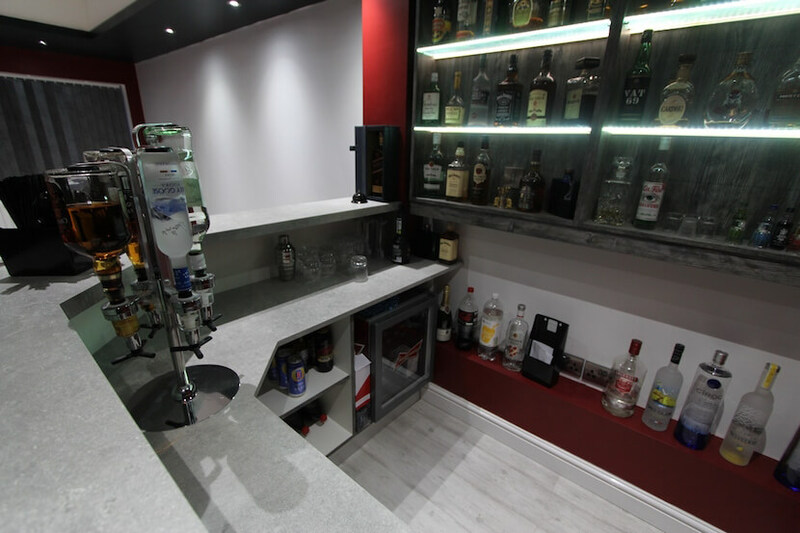 For the bar surface, we were tasked with creating a finish which would be functional for purpose and slightly textured to the touch. 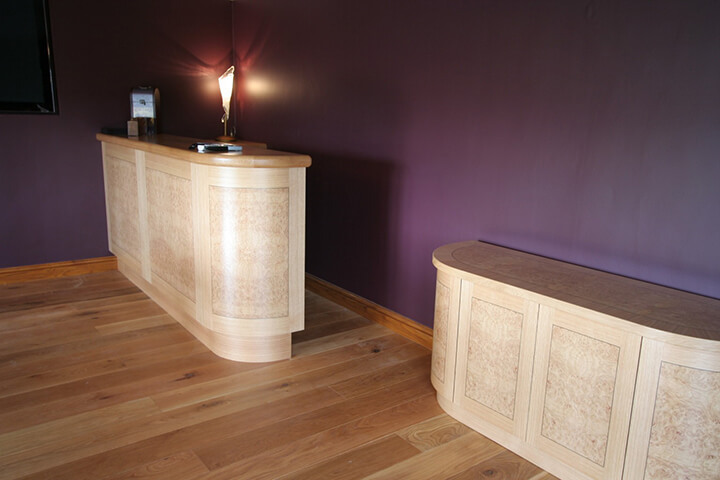 The solution was a solid oak counter with a resin coating to achieve a rich, glossy finish. 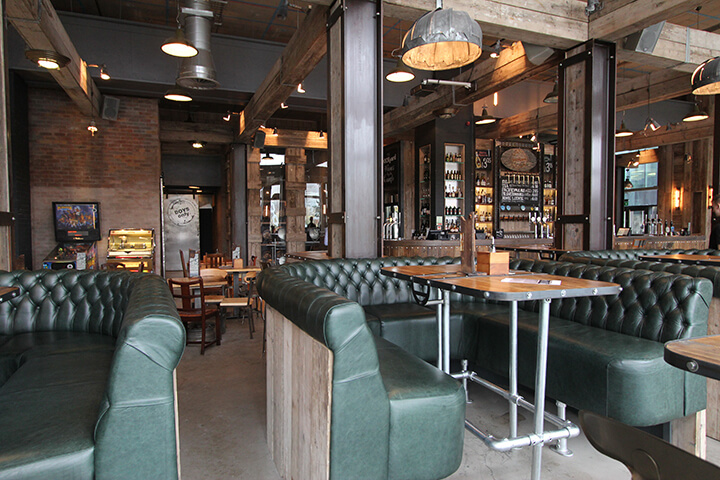 The bar has become a welcome licensed establishment in an area which was typically dominated by coffee shops aimed at local workers. 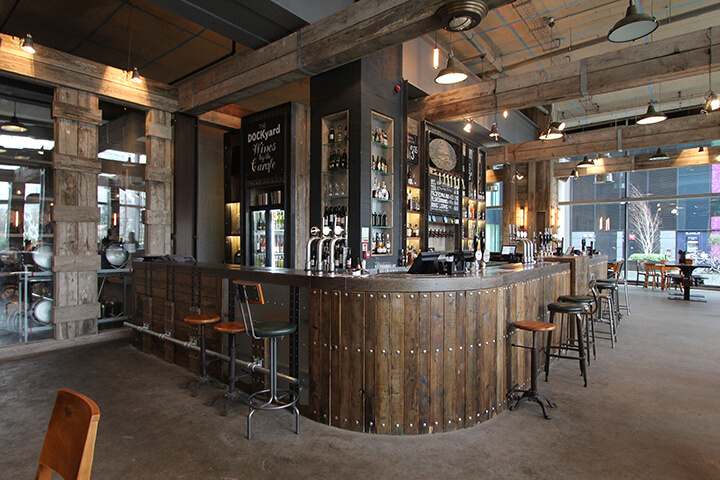 The Dockyard bar is now a popular spot for Media City employees and Mancunians looking to socialise at the weekends.